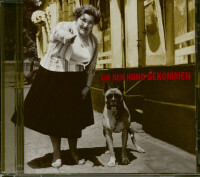 1-CD Digipak (6 pages) with 68-page booklet, 25 single titles. Playing time approx. 81 minutes. 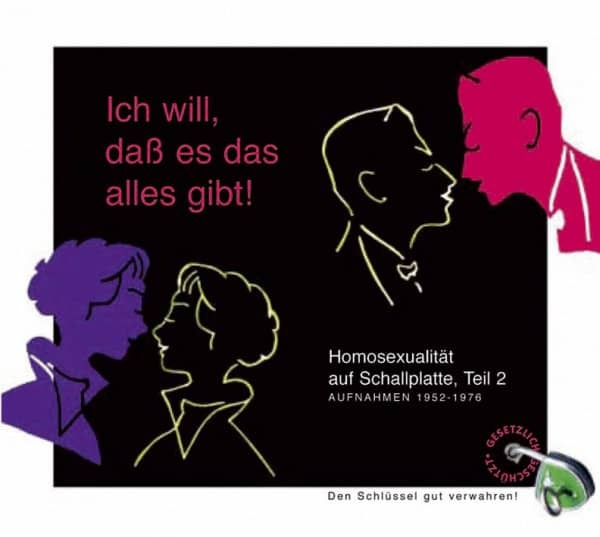 Homosexuality on vinyl' - Bear Family has set itself an ambitious goal: a representative release of the German-language recordings of the 20th century, which address homosexuality, a musical history of hide-and-seek and courage, of discrimination and emancipation. The first episode presented all recordings from the Imperial, Weimar and Nazi periods, including for the first time in 80 (!) 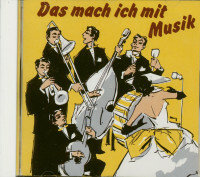 years the re-release of a vocal recording of the famous gay anthem Das Lila Lied. All-round serious..., and also enlightening for heteros - and pleasurable for all' (Hannoversche Generalg. Zeitung),'A small, precious edition!'. (taz), 'Exemplary equipped collection... You don't have to be gay to enjoy it' (Titel - Magazin für Literatur und Film),'Just as entertaining as informative' (Schweizer Szene Blatt KONTAKT). 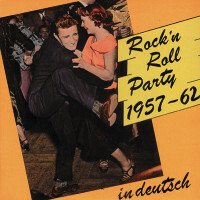 Cissy Kraner, André Heller, Udo Lindenberg, Bernd Clüver, Helen Vita, Daliah Lavi, Heinz Ehrhardt and many others. The pieces are musical mirrors of their time, touching, rebellious, committed, funny, embarrassing, outrageous and malicious. 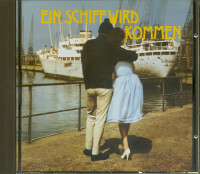 Most of the tracks are released here for the first time on CD and, after many decades, again on a sound carrier - for example the historical, first travesty recordings of the FRG by Marcel André, the well-known travesty star of the 50s and 60s - a true queen trash of the early years - ,Ur-Frivoles from the early 50s or a title of the first German women's rock band at all. An opulently designed booklet with discography, numerous photos and illustrations tells the story of all photographs with detailed background information and current statements by many artists on their photographs of that time. Customer evaluation for "Ich will, daß es das alles gibt"
09 Wo ist denn der süsse Popo?